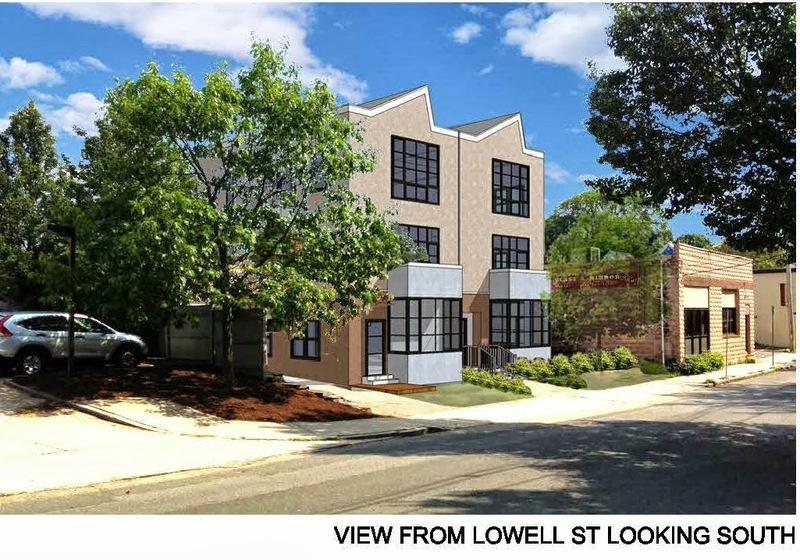 A second meeting on a 6-unit condominium project at the Walnut Hill Auto Body site (235 Lowell Street) has been scheduled for Wednesday October 9th at 6:00pm at the site, itself. Please note that the surrounding neighborhood and businesses will be flyered on October 1st. On another note--I was the recipient of one of the flyers with the...um...neighborly addition to it. I did not appreciate the dig at you and will be voting for you in November. It was a simple mistake that, when realized, was rectified immediately. All too often, there is a blame game, but you took on the heat and handled it with grace. Sorry, for the long-winded comment, but I thought you should hear it! Found flyer announcing the 2nd meeting on my front fence this morning. Me, and my adjacent neighbors were among others who didn't get the flyer for the 1st meeting the first time, 1st meeting. On this 2nd meeting flyer the name of the lawyer representing the developer appears in small print at the top of the flyer as "DIGIROLAMO"
That lawyer has no excuse for messing up as he has represented many many clients, possibly hundreds, in similar proceedings, over the years, in Somerville. He is also "well connected" with the decisions makers at city hall. More often than not, as a contributor to their fundraisers.